Illuminate your home with this sparkling crystal and mocha brown semi-flushmount ceiling light. This semi-flushmount ceiling light fixture offers the look of an authentic antique. It has a rich mocha brown finish covering the metal frame and decorative finial. The sparkling crystal accents are cut into square and rectangle shapes, adding visual interest and elegant style. 15" wide x 13" high. Canopy is 6" round. Weighs 10.35 lbs. Uses three maximum 60 watt standard base bulbs (not included). Semi-flushmount three-light ceiling light from Vienna Full Spectrum™. Faceted clear crystal glass accents on three different levels. Beautiful Design. Looks just like what I was looking for. Beautiful and elegant with total bulb wattage to provide good lighting. A little pizzazz for my little home! This will go in the hallway. Goes with my decor and i purchased 2 smaller for adjacent bedrooms. I'm placing this in a small alcove 6' x 8' which has a wine bar in it. 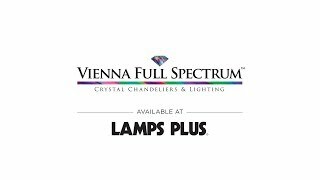 I'm going to place 3 Flux color changing bulbs in it and that will enable me to change the color and intensity of the light which will shine through the crystals. To enhance my bathroom. I have all bronze fixtures and this will make the bathroom even more elegant. purchased before on our previous home... wanted to do it again. Worked so well! Worried about ordering online but picture in room approx same size made me take a chance. Matches room design and good customer reviews. Beautiful for my front entry! I have 4 of these lights and I wanted another one! They are Awesome!!!! Is it crystal or acrylic? BEST ANSWER: Hi - This includes clear crystal glass accents. It looks beautiful in my foyer. It feels like glass so I suppose it's Crystal. It looks like crystal. 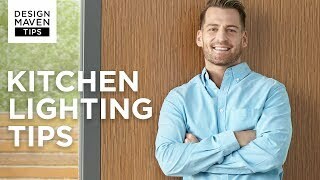 Do this fixture require 3 60 watt bulbs ? BEST ANSWER: Yes, the recommended light bulbs are three - 60 watt standard base incandescent bulbs. You may also use LED bulbs in this fixture. I'm thinking of purchasing 2 for my walk-in closet. Will they give out enough light? How big is your closet? This fixture easily puts out enough light for a bedroom with just one fixture. If you got two, the light in your closet would be blinding turned all the way on. You would have to have a dimmer switch in your closet. Definitely will. Each lamp handles a max of three 60W incandescent bulbs. So that's 180 watts of light. You could put in LED's and get even more lumens. Truthfully one alone is sufficient with the proper bulbs. I have this light in the hallway, and it gives off plenty of light. There are 3 60 watt bulbs, so it should be plenty of light. Kind of shame to hide a beautiful fixture though in a closet. With LED bulbs with a high number of lumens, they should give you more light than you might want. I have mine in a guest bedroom and it provides plenty of light. It’s a beautiful light above the dining room table. It gives off a very soft light. It would depend on how big the closet is. Two lights might work. That depends on the size of your closet. I put 2 in my walk-in closet and there is plenty of light. Can the little pipe be cut down so that this is basically flushed mounted? BEST ANSWER: We have a flushmount style available for this item! Please see the attached. Perhaps this will work for you. Are there matching chandeliers or other lights that match this one? I like this for my foyer, but would need matching lights for my diningroom and over the stairs. BEST ANSWER: This collection does not offer matching lights. I have included a chandelier that will coordinate well with this collection. Please feel free to contact one of our lighting specialists who can assist you with finding a light that will best fit your design. Can you attach a pull string to this light fixture to turn it on and off? BEST ANSWER: No, there is no internal switch, just hard wire connection into ceiling.. I am 99% positive you can not. I want to install this over my bathtub right now there is an existing flush ceiling light will this adapt? BEST ANSWER: Yes, it will work as a ceiling light in a bathroom. Just note that this fixture is not damp located rated. However, if the area is well ventilated with no buildup of steam or condensation, and if it is not installed adjacent to showers, it should be fine. Is it possible to purchase one similar that is damp located rated? The fixture will adapt to a standard ceiling box and it comes with a new strap and screws. It is quite heavy and I would suggest two people to install it. Take off old to expose flush ceiling. This will install nicely. No more than 3 60-w bulbs. 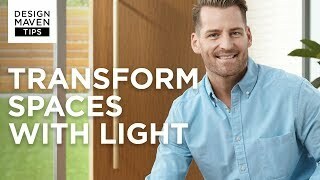 You might consider leds with dimmer for mood. Want this for a dining room. Does it give off enough light? BEST ANSWER: Only if the dining room is small, if not you will need mirrors for reflection. The light is reduced due to the translucent beveled glass. You will definitely need to use 3-60 watt bulbs. Yes, lots of light. Possibly too much depending on the bulbs used. Recommend put on a dimmer switch. I have this fixture and the hugger model. Enjoying both. For an entry way or for a foray it is fine. Not specifically for a larger dining area. Does the crystal part have to be taken off in order to change bulbs? BEST ANSWER: No, All you have to do is have a ladder and then reach over top to change bulbs. very easy! No, there is about 3.5" of clearance over the top to be able to reach the bulbs. No. You can reach over the top and unscrew the bulbs. What sort of pattern does this fixture project on the ceiling? BEST ANSWER: There will be a prismatic effect from the crystals. Can this fixture be installed in a covered outdoor space? BEST ANSWER: Sure it can, but if there's any chance of strong wind getting to it, I wouldn't do it. This light is exquisite in my front entrance but I do not know if it is damp rated. Yes. I have mine installed in muy foyer. As long as it is covered. Stunning even without the lights on! 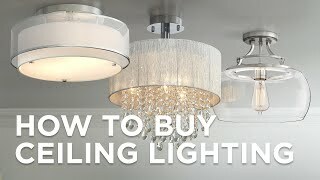 I purchased this light along with two of the companion ceiling lights with the same design for my dining room, foyer, and living room. They arrived very well packed with all crystals installed. (There were also two extra crystals in each package.) These lights are beautiful and the rooms glow when they are on, but are equally beautiful without the lights on. These fixtures were my first online purchase for my home and I have been extremely pleased! Had my eye on this for months after I didn't like the first light I had installed. It matches the beveled front doors beautifully and the semi-flush drop adds even more elegance. I am so happy to finally have this in my home! Can't stop looking at it!! After watching HGTV I realized my ceiling light at the house hall entrance was 31 years old, too small and out of date. Since I have been renovating much of my house I thought this would go with any style, look beautiful and bring the area up to date. Really lovely. Love it looks like glass. Prople love it. I leave it on at night. Love it. I leave ur on at night. Wanted the BLING factor and got it- over my kitchen sink! It's just beautiful, can't go wrong with this one. Chose this for our dining room...perfect! It’s three 60 watt bulbs provide the amount of light we need for the area and the design is as attractive as the picture. Very satisfied!